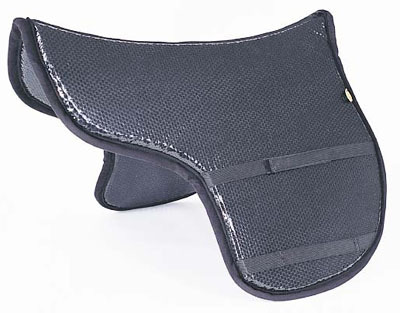 Made for the Avia Saddle! Great pad at a great price! T3 System technology for serious riding. 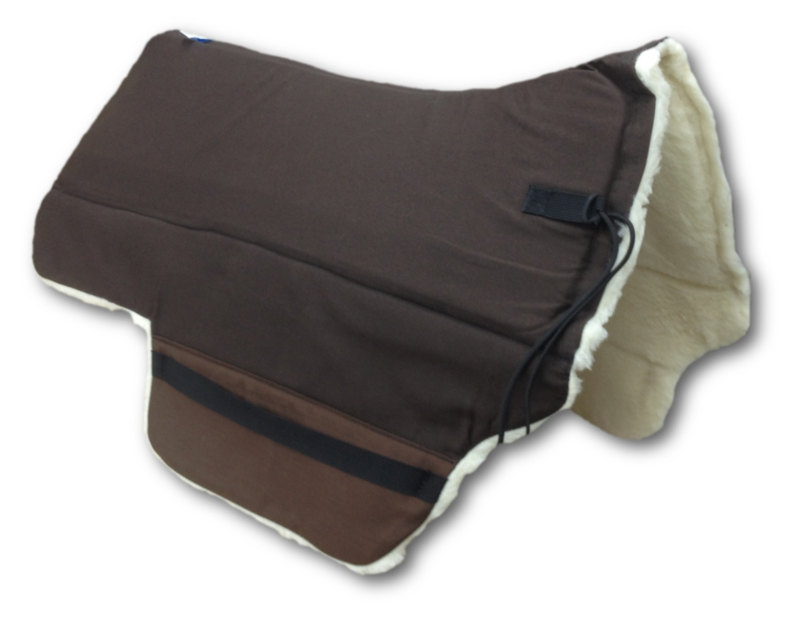 The Ultimate in Equine Comfort! 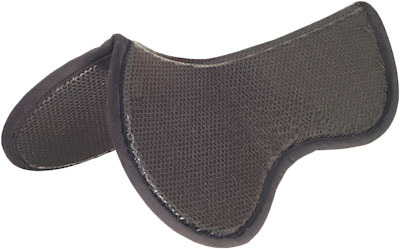 An excellent choice for treeless saddles. 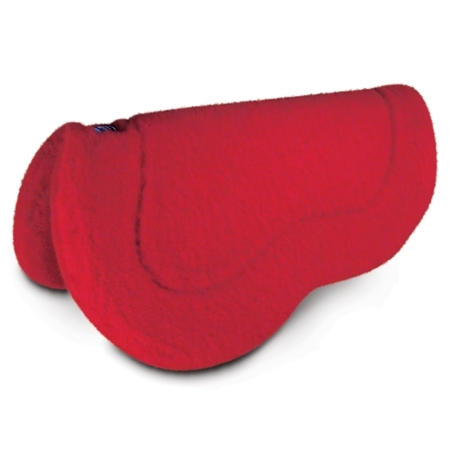 Concussion and bounce resistance in a thin package. 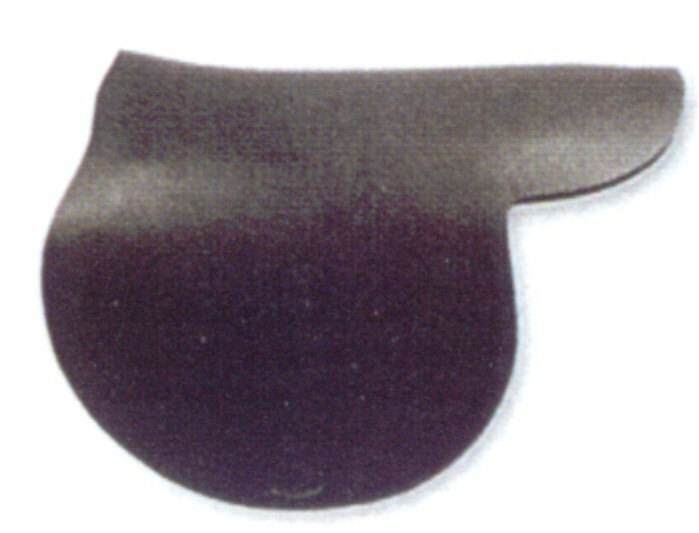 A simple solution to level a saddle. Fills in the hollow on a sway-backed horse. Ideal for the high withered, narrow shouldered horse. 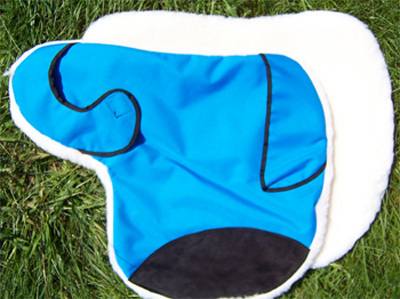 Anti-shear, anti-friction, concussion reduction, dissipates sweat. 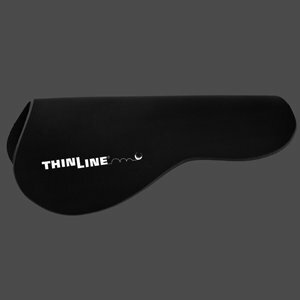 Anti-shear, anti-friction, concussion reduction. 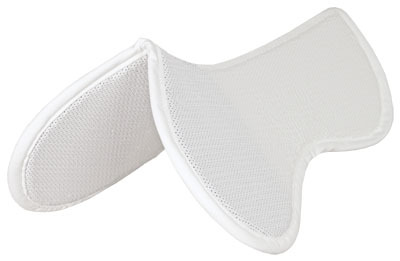 Dissipates sweat. 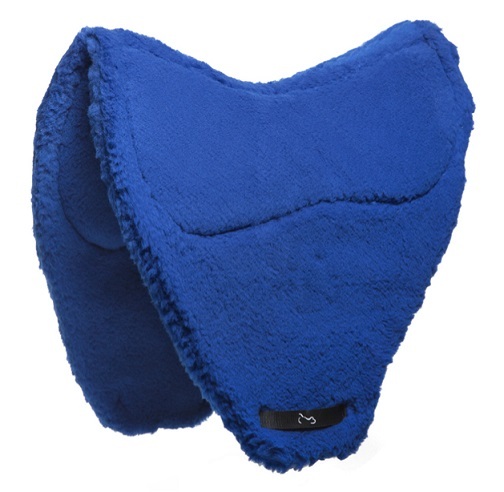 Provides EXCELLENT pressure relief and heat dispersal. Stimulite honeycomb provides EXCELLENT pressure relief. 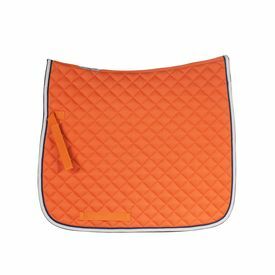 A cover for your Supracor hunter/jumper pad. 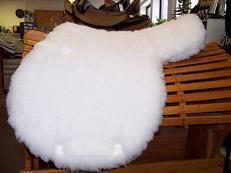 Designed to fit the Sharon Sayer Saddle. Reduced daily work-stress on backs and legs. 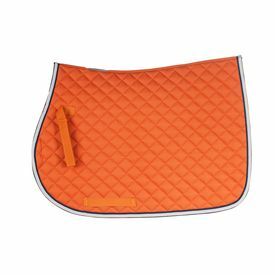 Non-slip and shock absorbing saddle pad. Made with hospital inspired Coolback pile! 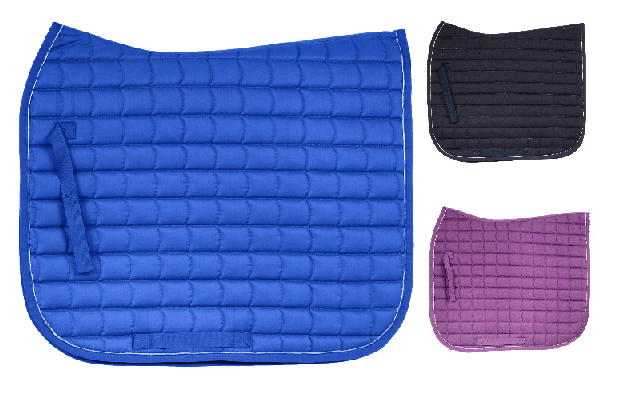 Maximum cushioning without matting or slipping! Choose REGULAR or TRIPLE THICK! 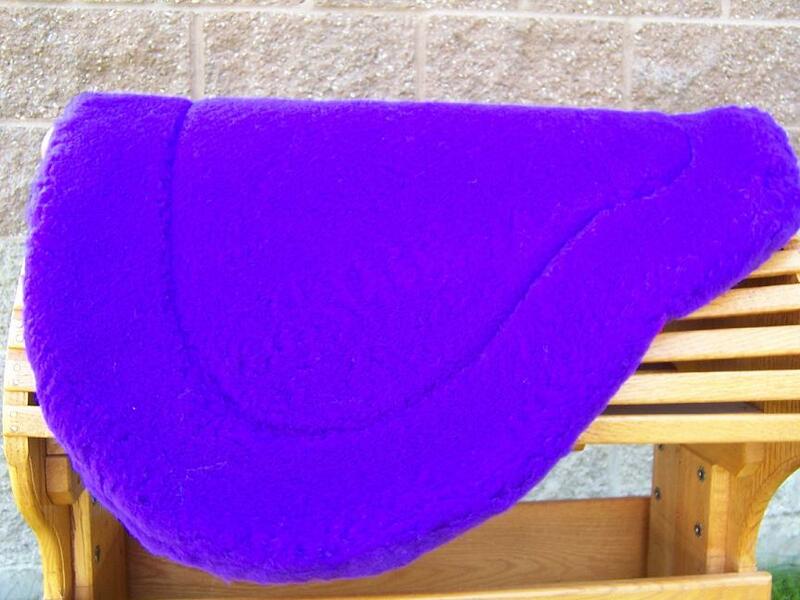 Excellent protection for your horse's back! You need options? 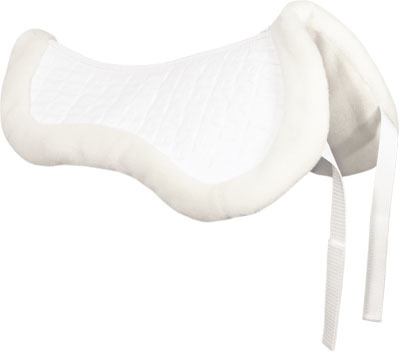 This pad has FIVE. Click this one! Cutback in the wither area and TRIPLE THICK! How do ya like me NOW? 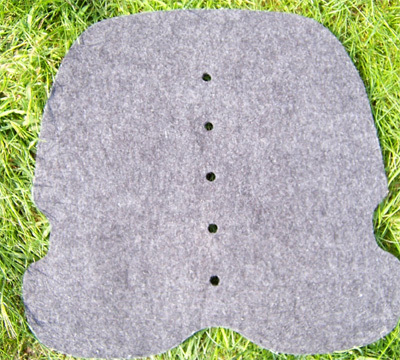 Shaped pads specifically made for ReactorPanel saddles. 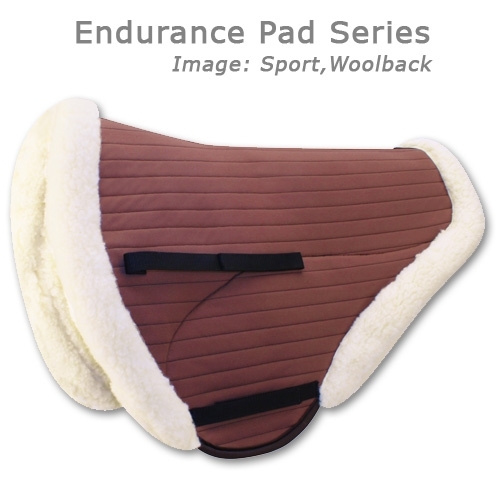 The ultimate in Sheepskin pads! 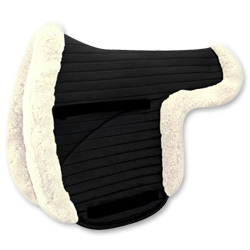 Custom booties for Flex-Panel Saddles. 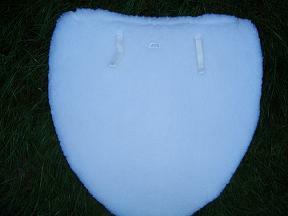 Large white quilted saddle pad. 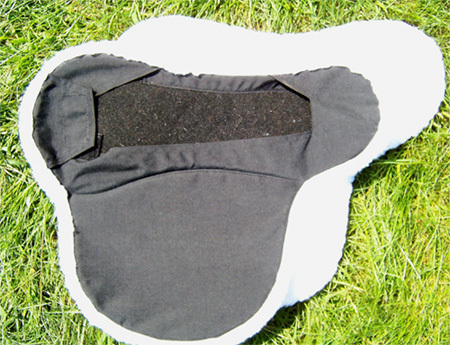 Pad with handy pockets to stash your gear!